In Allergy and Asthma Unit training and patient care services are provided in order to diagnose and treat all allergic diseases, mainly bronchial asthma (allergic and non-allergic), allergic rhinitis (allergic cold), food, medication and skin allergies in children. Led by faculty members, a team that aims latest to diagnose and treat allergic diseases provides service in Allergy and Asthma Unit. It consists of allergists, pediatrics specialists, physicians and interns specializing in pediatrics, two charge nurses, three biologists and a technician. In our unit, there are three outpatient clinic examination rooms, a blood collection lab, a treatment room, preparation and administration rooms for immunotherapy and one each room for skin tests and a pulmonary function laboratory. The first allergy and Asthma Unit established in our country is known as a center where the most advanced diagnosis methods are used in care of patients coming and referred from all around the country. All clinical blood tests, skin tests, pulmonary function tests and exposure tests for bronchial asthma, allergic rhinitis, food allergy, atopic dermatitis and medication allergies can be performed within our department and its laboratories. In addition to the allergic diseases treatments that are performed according to the latest principles, a particular importance is given to patient education as it is considered essential precondition to a successful treatment. Using standardized antigens, specialist apply Immunotherapy which is commonly known as "vaccine treatment' to patients who mainly have bee allergy, allergic rhinitis and certain characteristics of asthma. 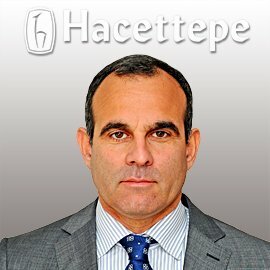 Ümit Murat Şahiner MD. 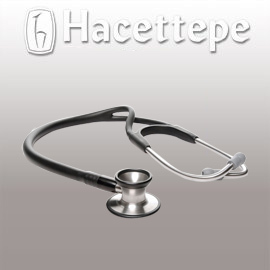 Ph.D.
Hacettepe University İhsan Doğramacı Children's Hospital provides emergency care, intensive care and inpatient and outpatient care services to patients. Hospitalized patients at these inpatient services are monitored by the physicians of our unit. The diagnosis of allergic diseases are carried out with skin tests and methods for determining allergy in blood (total IgE and specific IgE), in order to detect whether the patient is sensitive to an allergen or not. Furthermore, medication or food allergy exposure tests are performed by the allergists in our unit for patients with suspicious food or medication allergy. In diagnosis of pulmonary function diseases, measurements of airway conductance and resistance, lung volume and lung compliance are performed with spirometry in pulmonary function laboratory of our unit. In order to measure airway sensitivity particular pulmonary tests are made by encouraging patients to do exercises or by giving them certain medications.. Measurements of sinus pressure and nasal resistance to diagnose allergic rhinitis (rhinomanometric measurements) and cell counts in nasal discharge are performed, and results can be obtained immediately. Patients who have allergic reactions to penicillin, anesthetic medications and other medication groups are subjected to skin tests and in case of compulsory medications patients are hospitalized for the desensitization protocol to be applied. While the results of skin test, nasal pressure measurements, pulmonary function tests, blood, nasal fluids and sputum cell count examinations can be obtained within the same day, the resulting of blood tests can take a week the latest. On the other hand,certain tests are performed only by scheduling appointment.Skin tests can be applied at any age, including newborns. However, patients should not take allergy, flu, cold and cough medicines containing antihistamine, within the last week before test day for the skin tests to give accurate results. In order to follow the latest issues and developments on allergic diseases, papers which are published in international allergy journals are discussed during in-house meetings and meanwhile colloquiums, case studies and review meetings regarding patients are carried out with the participation of all academic staff of the unit. Researches are at the laboratory of Pediatric Allergy and Asthma Unit, in order to bring in new information for medical resources and update the unit with the latest techniques and information. The purpose of these researches is to shed a light on causes and mechanisms of asthma and other allergic diseases at cellular and genetic-molecular level. Therefore, we are in cooperation with several domestic and foreign centers. In order to celebrate World Asthma Day, training meetings are held on the first week each May annually for physicians, allergy patients and their families throughout the country, with the mutual participation of allergists of our unit and other universities and hospitals. Outpatient clinic examination appointments can be booked by dialing 444 4 444 or by clicking “Online Appointment” link. Children between the ages of 0 and 17 can be examined. Child Allergy and Asthma Unit is located on the 2nd floor of Hacettepe İhsan Doğramacı Children’s Hospital upon entering from door no. 1 (just near the Child Emergency Entrance).